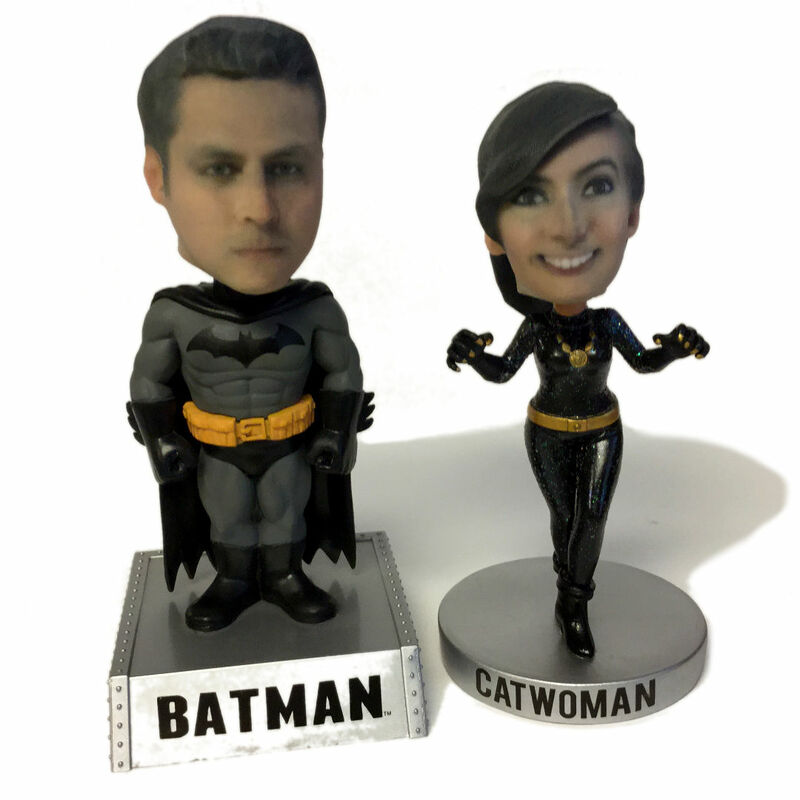 We can create a bobblehead from a 3D scan of your head plus a body from one of the hundreds of available third party figures. Become a superhero, your favorite movie star or a sports legend! Buy multiple bodies and swap! Bodies are sold for market price (current amazon.com price) of the original figure at the time of ordering, plus an enhancement charge. Due to the collectable nature of the figures, the price may change frequently and without notice. Enhancement includes removal of the existing head, addition of a neck spring, and skin tone painting (if needed). Heads may be permanently attached or left loose so that you can swap it on multiple bodies. Figures are large size and stand approximately 6-7 inches tall. 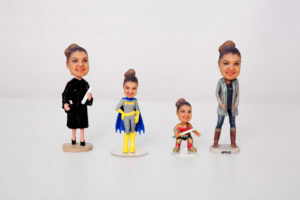 The printed head is approximately 1:4 scale; larger for children. Please note that if your hair or beard extends below your neckline there is an extra charge due to the additional modeling & sculpting time required plus additional raw material. You can avoid this by putting your hair up during your scan so that it does not come in contact with your neck or body. There may also be an extra charge for hats due to the additional raw material required. Some example figures are shown below; you can view our Amazon Wishlist for a more complete listing. 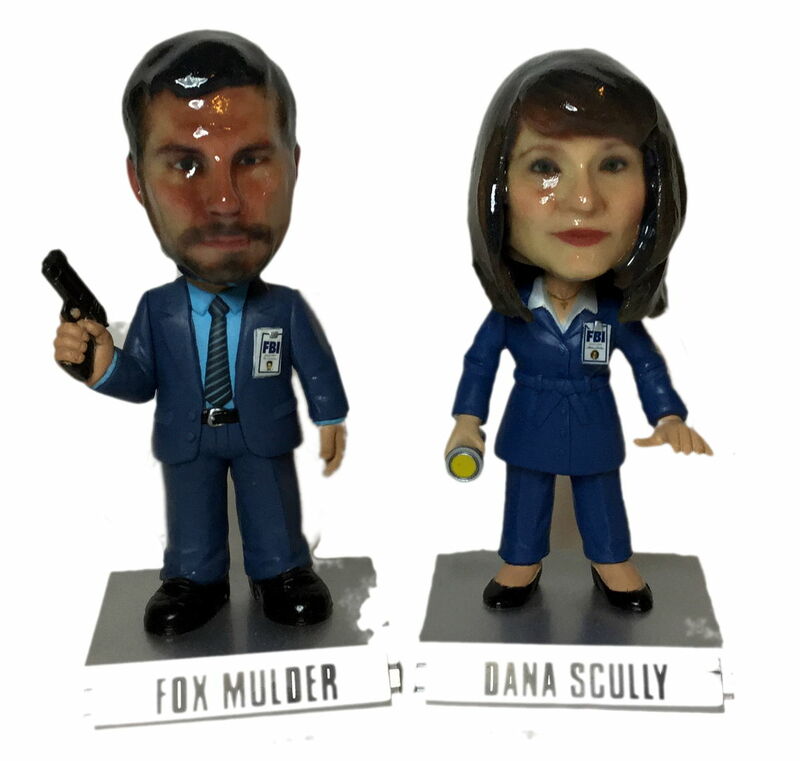 If you find a figure somewhere else we will be happy to make a custom head to fit! New Item! 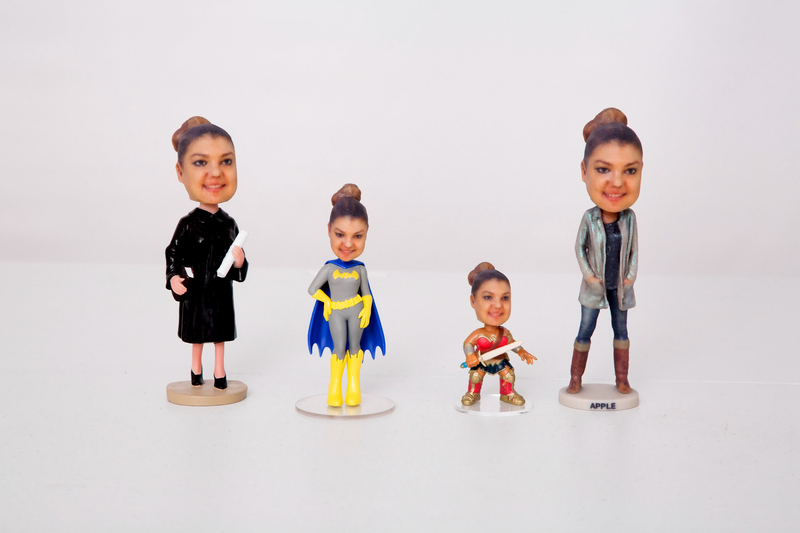 Now offering bobblehead bodies made from your own 3D scan (seen on far right).